Airtex brings to your project experience in proven radiant heating technology with millions of square feet of Airtex Ceiling Systems successfully installed across North America since the early 1960’s. 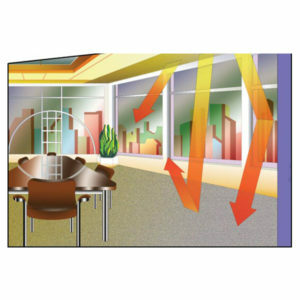 Heating/Cooling Radiant Panels – Radiant Panels free up valuable wall space. Typically mounted in the ceiling, Airtex Radiant Panels are not subject to the wear and tear of conventional wall mounted heaters. Airtex Radiant Panels provide the comfort and freedom of maintenance desired in all schools.